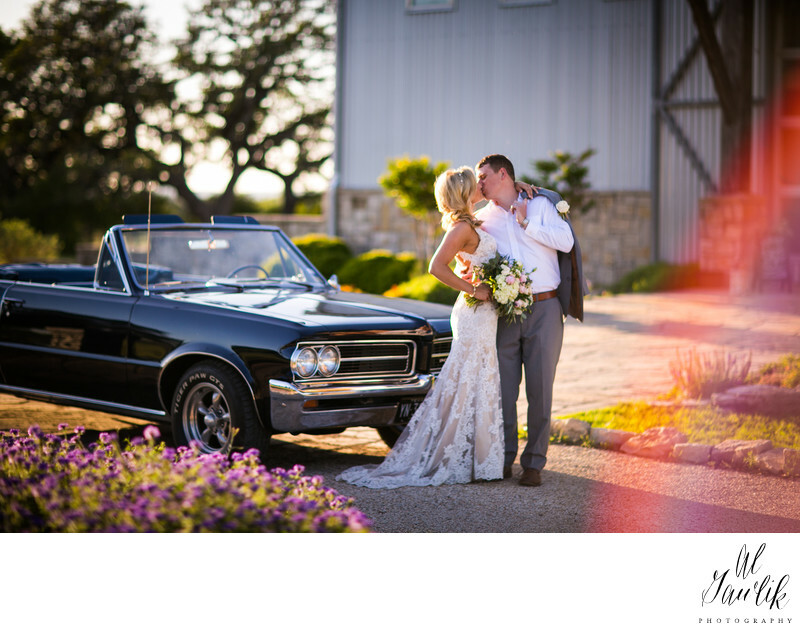 It's a classic car portrait with a modern day classy couple. One of the fastest stock production cars in the history of automobiles is poised to carry our wedding couple to a hidden destination away from the crowed wedding venue - but they are in a world by themselves at this very moment, which is captured by our story-telling photographer AL Gawlik. And AL Gawlik would love to help tell your story.